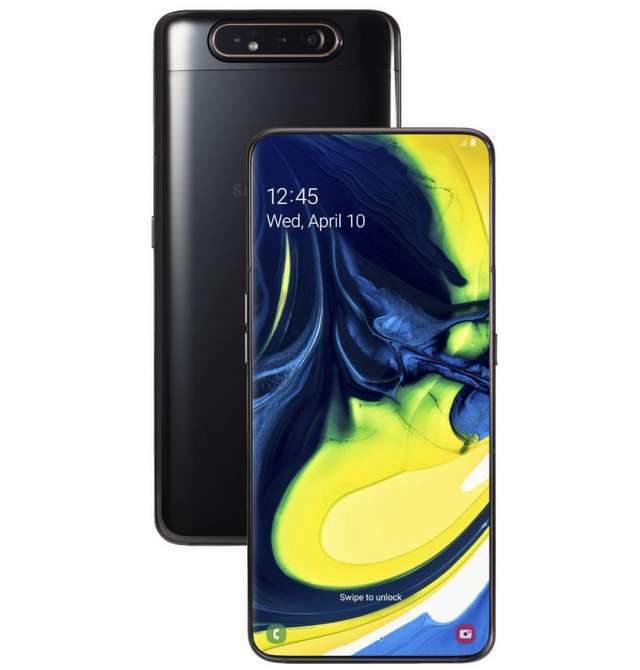 The 2019 Galaxy "A" series line-up just gets more interesting with the addition of the Galaxy A80. Samsung at its "A Galaxy Event" un-clad the phone as expected today. The prominent feature that made the device unique on its own stand and that segregate it from the rest of its family is its pop up rotating triple camera. 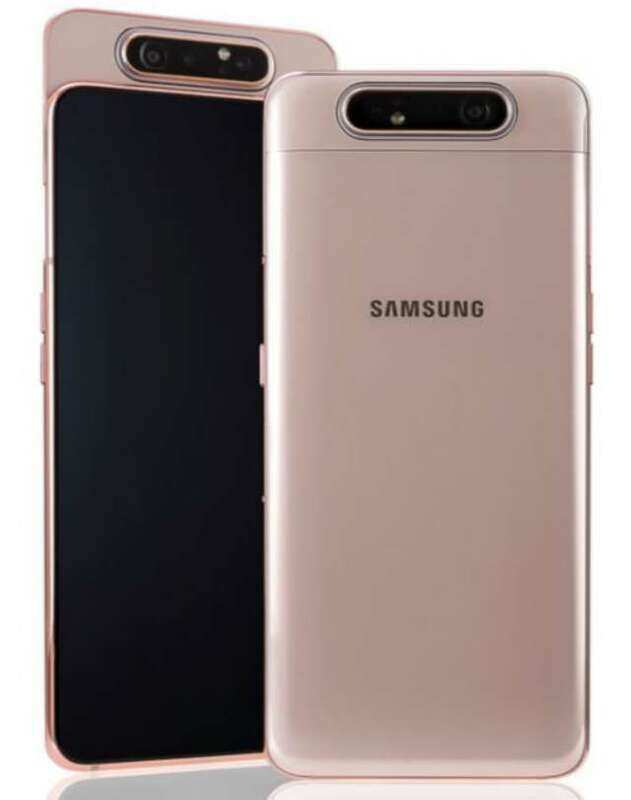 The Galaxy A80 rear cameras that comprised of 48MP f/2.0 sensor, 8MP ultra-wide angle lens, and 3D ToF sensor for Live Focus Video (present on the Galaxy S10 and A70), has a motorized mechanism that can uplift and rotate the camera module to face the front for taking selfie. Since the phone has no dedicated selfie camera, the display is allowed to stretch far and wide. Speaking of the display, it is phablet-sized at 6.7-inch, and it uses Super AMOLED for backlighting. The screen resolution is Full HD+ and the aspect ratio is 20:9. It is the same display used for the Galaxy A70. Powering the phone is an unspecified octa-core chipset, clubbed with 8GB of RAM and 128GB of storage. There is no MicroSD slot onboard. The Galaxy A80 runs Android 9.0 Pie with One UI. Security is provided by an in-display fingerprint sensor, while audio is enhanced by Dolby Atmos. It has a 3D Glasttic back that reflects certain hue (depending on color variant) when viewed in direct sunlight. It packed a 3700mAh battery with supports for 25W Super Fast Charging. It comes in Phantom Black, Ghost White, and Angel Gold colors. Sales will begin on May 29th in Europe and other select countries for €649 (US$730).